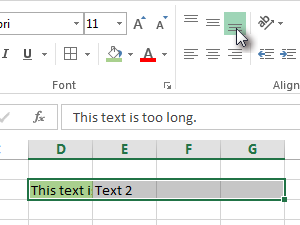 We have a cell with to long text, but we wish the whole text to be visible. 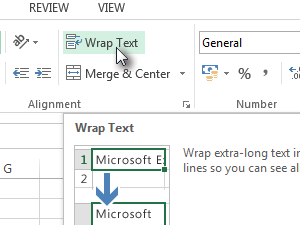 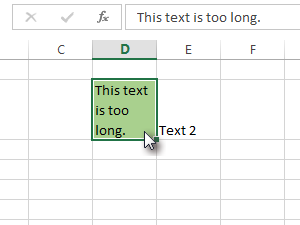 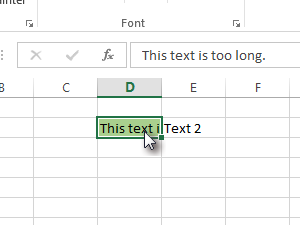 Select the cell with too long text. 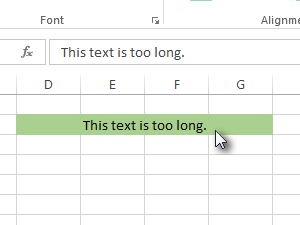 The cell will become higher and now we can see the whole text. 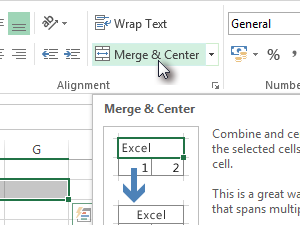 The other option is to select several cells, which we will merge into one cell. 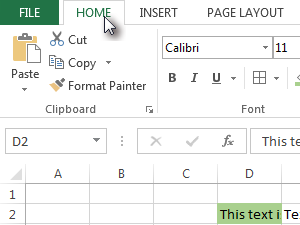 Thus we get one cell over several columns, so again the whole text is now visible.